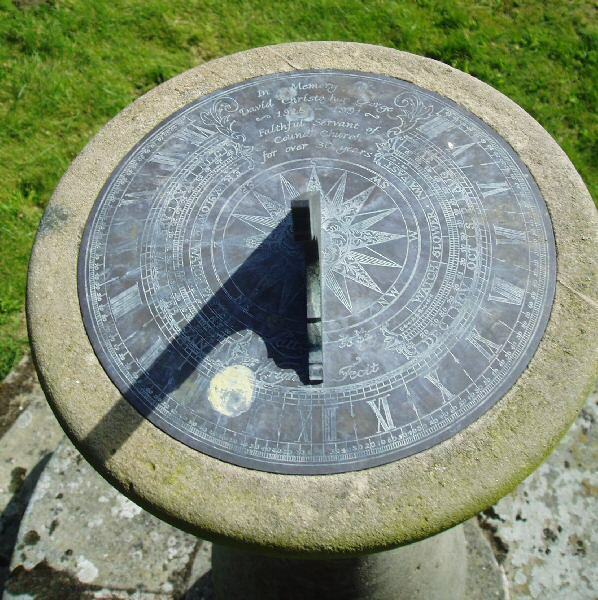 This sundial is in the churchyard of the 13th century church of St. Peter. This excellent dial is in fact quite modern, dedicated in David Christopher George,"faithful servant to Cound Church over over 30 years" who died in 1991. The maker "F Wright fecit"